Unboxing & Review of Chronicle Collectibles’ 1984 “TERMINATOR GENISYS” Battle Damaged 1:2 Scale Bust! Celebrating the latest installment of the legendary Terminator film series, “Terminator: Genisys”, Chronicle Collectibles has partnered with Skydance Productions to create the amazing 1984 Terminator Genisys Battle Damaged 1:2 Scale Bust! Brought to life using the actual CGI scans used in “Terminator Genisys”, this bust features an amazingly realistic battle damaged 1984 Terminator (the one that fought the Guardian T-800 in Griffith Park!) If you’re still considering purchasing one of these pieces but want to see more before you commit, Skynet’s Army: Terminator Fans United can help. 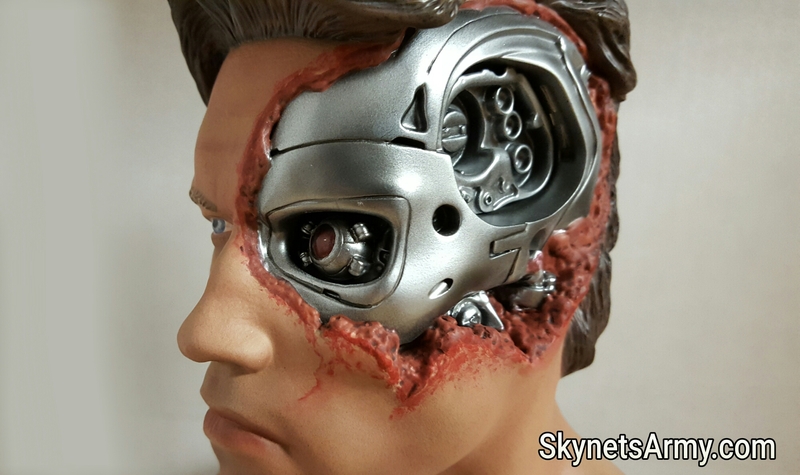 We now present to you our official unboxing and review of the “1984 Terminator Genisys Battle Damaged 1:2 Scale Bust”!